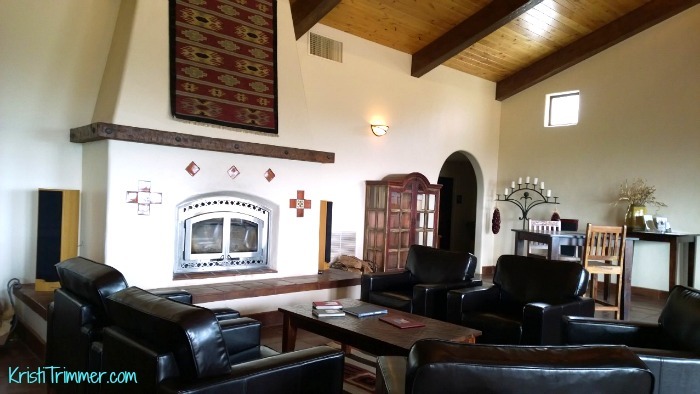 When I was told by my friend who works at the Paso Robles Wine Country Alliance that he could help me find a last minute place to stay, I was very grateful. It seemed that all of my plans since I had left Phoenix had gone awry. Next thing I know I am on the road to Paso Robles, one of my absolute favorite wine regions in California. I arrived late, really late to The Inn at Croad Vineyard. 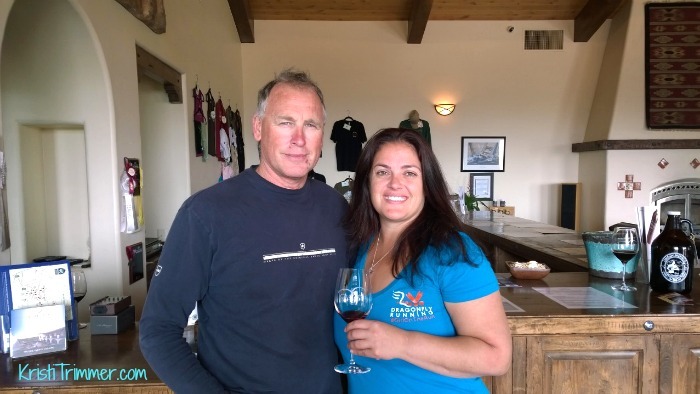 I was tired, hungry, and couldn’t believe when the owner, Martin Croad a native Australian, met me at the inn with a glass of their Estate Zinfandel in hand. He showed me to my room which was spacious, had a killer bathroom, and would be my home for the next couple days. One of my favorite things to have in my room is a handwritten note welcoming me to the property. Imagine my surprise when I looked down and saw that my keys had a dragonfly on them. Kismet. When I woke up from one of the most restful night sleeps I had ever had, I made my way to the kitchen for their continental breakfast. Let’s just stop here for a moment. We are talking eggs, waffles, organic yogurts and cheese, pastries and croissants (with homemade jams! ), so many different berries and fruits, coupled with coffee and tea and fresh squeezed fruit juice. I was in awe over the many different types of cereal available. Really, the whole setup was amazing. They thought of everything! My stomach was quite happy about that fact! I sat outside with my breakfast and hot Earl Grey tea and took in this spectacular view of the pink climbing roses. After breakfast, I wrote from this very spot for a bit until I went into town for winery and brewery tours. 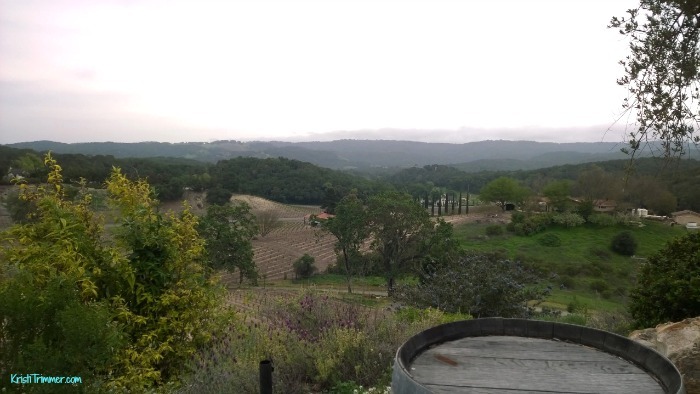 Croad Vineyard’s view is really spectacular and these images do not do this view justice. Every time I turned around there was a view more breathtaking than the last. 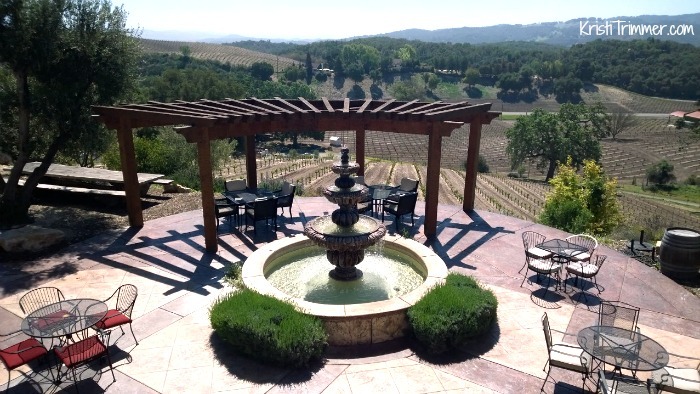 This Inn sits atop a huge hill in the middle of Paso Robles overlooking the valley below. They have is a two-story tasting room that can easily accommodate a wedding or an event. The Inn itself has a separate outside area that for the guests to enjoy. The entire property is really what fairy tales are made of. I would move in if Martin would let me! The Tasting Room is spacious and very tastefully decorated. They offer complimentary Wi-Fi for those that want to come and enjoy a glass of wine and do a little work. Kiwi Hour aka Wine Happy Hour occurs everyday from 2-3pm. One of the really cool things that Croad does for their Inn guests is that they make a platter filled with cheese, nuts, and fruit that you can enjoy at the tasting room, at the Inn, or they will leave it in the refrigerator for you to have later. It is the little touches like this that made me feel I was staying in a 5-Star resort. Martin and Rosie Croad have done an amazing job creating this fairy tale property. It is peaceful, serene, and helped to rebalance my soul with its beauty. The flowers and gardens were so gorgeous that I could have stayed in the midst of them for hours. The Croad Wines also deliver on taste and excellence. If you enjoy big bold red wines, then you must try their Cabernet Sauvignon and Syrah. Thank you Croad Inn and Vineyard for welcoming me to your fairy tale property. If I ever get married again, I can’t imagine a more beautiful place to say I Do. 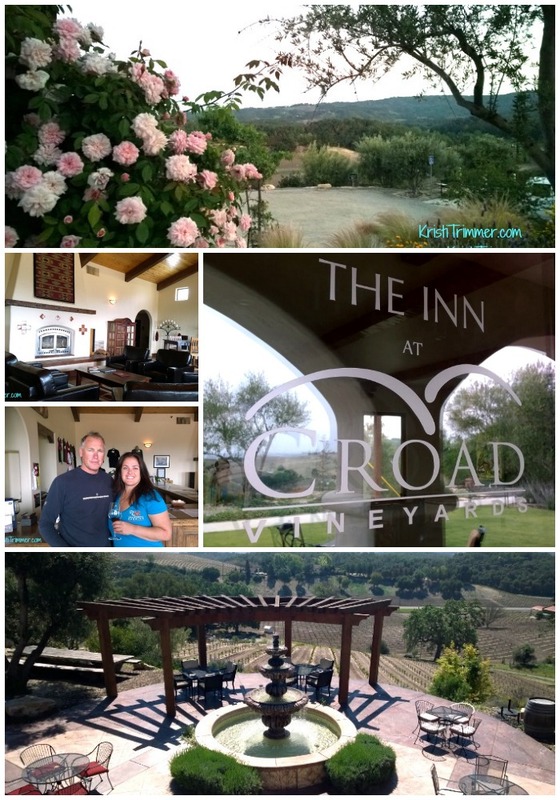 Disclosure: I received two nights at The Inn at Croad Vineyards in exchange for this review. That doesn’t change the fact that this is absolutely one of the best places I have ever stayed at or my continuing love affair with Paso Robles. Links within this post may contain affiliate links that I earn commissions from. This is how I pay for my travels and this blog. « Wanted: Star Wars Lovers and Fans! This place looks amazing! I will totally try to stay here the next time I’m out in CA wine region! Wow do I want to plan a trip there now! I LOVE Paso Robles and this place sounds so amazing, I want to go!